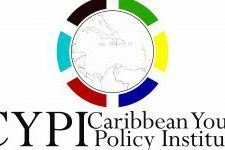 The Caribbean Youth Policy Institute’s vision is to offer a strength-based, research supported, and sustainable approach to youth development in the region that will be shaped through national youth policies and a regional youth policy. The CYPI seek to provide the necessary assistance to countries in the Caribbean region with the formulation and development of their respective youth polices. Moreover, the status of youth polices in the region is of high priority to the CYPI and it is their mission to ensure that Caribbean national youth policies adhere to the principles outlined in the Baku Commitment to Youth Policies. The CYPI provide technical assistance, youth policy reviews, conduct research, develop policies, share information and resources, and monitor and evaluate NYPs in the Caribbean region, all in an effort to strengthen the quality and effectiveness of NYPs in addressing the challenges facing Caribbean Youth. This has included work in Haiti, Jamaica, and Trinidad & Tobago. Young people should contact the organisers directly about ways to participate in activities and programmes.